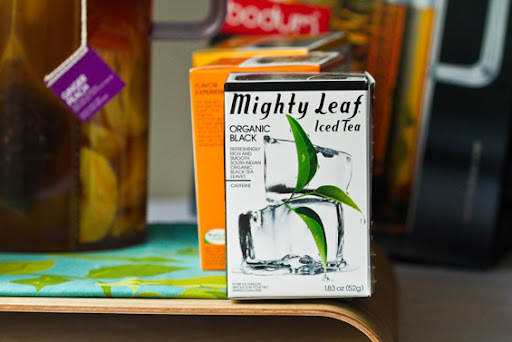 Mighty Leaf Iced Tea Giveaway for your Cool Summer! Summer is here and so I'm happy to host a super cool Summer Tea Brewing Kit giveaway for you guys - from the fabulous tea makers at Mighty Leaf. In addition to the giveaway, Healthy Happy Life readers will get 15% off any purchase at MightyLeaf.com - via a coupon code. 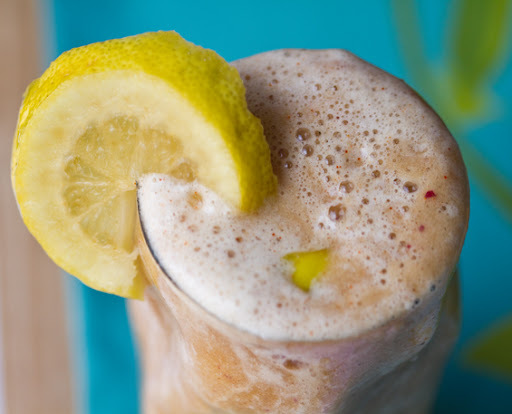 Keep reading for the code, to enter and a super cool Iced Tea Frosty recipe!!.. GIVEAWAY HAS ENDED - Congrats to Bobbie, @thevegancrew she is the winner of my Summer Brewing Kit Giveaway! Iced Tea Lover. 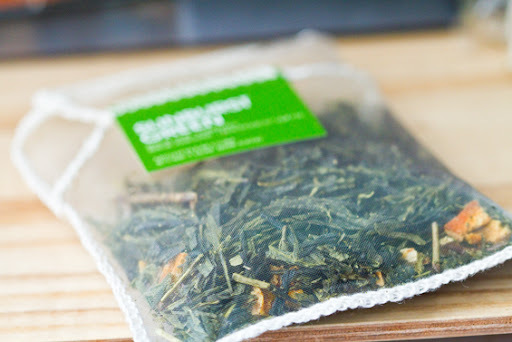 Yesterday I tried out the new Mighty Leaf Iced Tea bags. Loved them! I was given four flavors to try - Ginger peach, Calypso Mango, Organic Black and Sunburst Green. 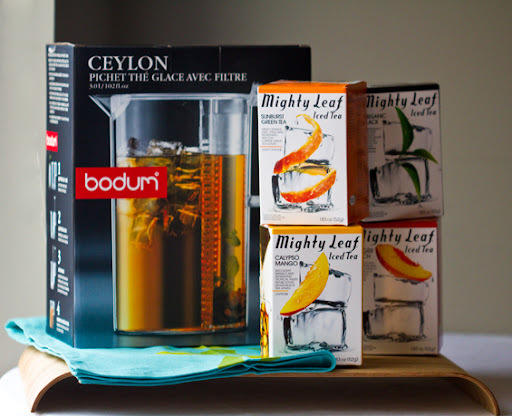 I used my new Bodum Iced Tea Pitcher (featured in this giveaway) to brew some tasty tea in minutes. 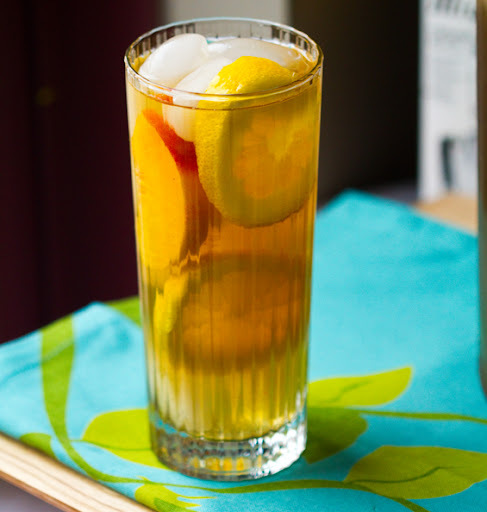 I added some fresh peach and lemon slices to infuse the already flavorful tea with even more flavors of summer. I enjoyed a nice tall glass and was pleased to see how much tea I'll have to drink through the weekend. This pitcher holds a lot of tea! Iced Tea Frosty. Then today I decided to experiment with an Iced Tea Frosty. I loved the end result. Super frosty and frothy with a bright spiced flavor of tea and fruit. This sip was very frothy and almost creamy - yet totally dairy and soy free! The bananas gave it a subtle sweet creaminess. 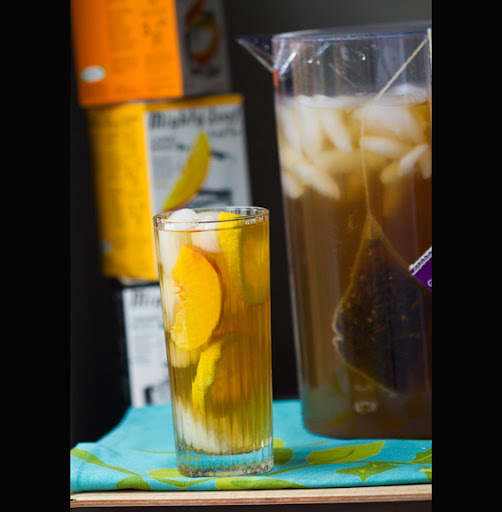 Get my Spiced Peach Lemon Iced Tea Frosty Recipe! * Leave a comment with your favorite "iced tea" flavor - or way to drink it. * Tweet this post - you will gain an *extra* entry when you tweet the link. Please note in your comment that you have tweeted as well. Be sure to do the tweet though because I will double check the winner! * Share on Facebook - same rules apply - let me know in your comment if you have shared on Facebook. deadline - I will choose a winner next Friday July 1st 2011 - noon EST! Good luck and happy iced tea drinking!!.. 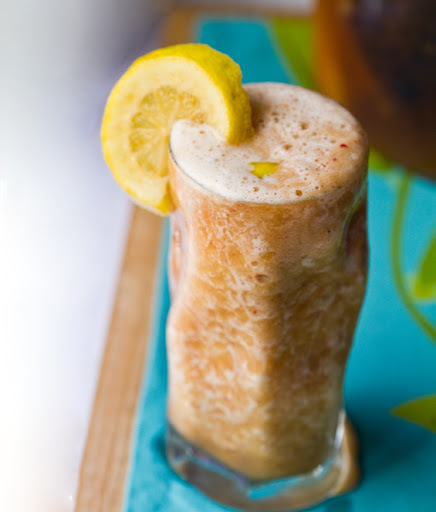 Spiced Peach Lemon Iced Tea Frosty Recipe!